I wanted to like this book. The cover advertised it as the British version of Tina Fey’s Bossypants and, well, how can that be bad? 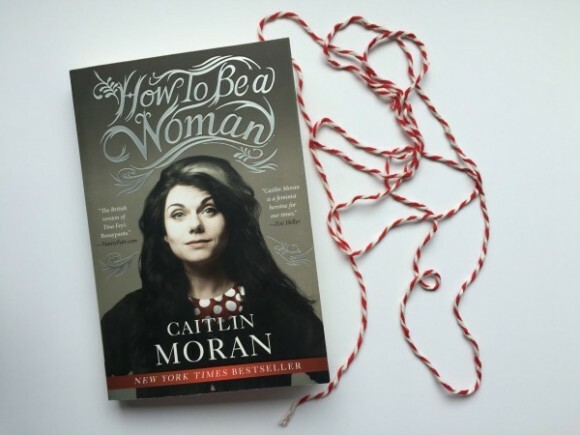 How to Be a Woman by Caitlin Moran had such promise. But I just couldn’t enjoy it. It wasn’t the fact that she is against the idea of heaven because it makes us not live life to the fullest or the story she shares about her abortion and all the reasons why it was absolutely fine. Those were definitely turn-offs, but I can read something I don’t necessarily agree with and still learn something. What made this book a no for me is that I just didn’t think it was funny. And if you say you’re the British version of Tina Fey on the cover, I expect to be laughing out loud at least every four pages minimum. Maybe I’m more of a prude than I’d like to admit or maybe it was because half the British references were lost on me, but I just didn’t enjoy this book. But I stuck it out, I read the whole thing and even wanted to like Moran. She’s a staunch feminist which I like, she’s got two daughters, and she’s fighting hard for some causes I can get behind. She’s also a really good writer and I enjoyed her style of writing. I just didn’t enjoy her story. Three essays that I did find enjoyable: “I Need a Bra!” “I Am Fat!” and “I Get Married!” She makes some good points and has some opinions that make sense. But in the very next sentence/paragraph/chapter she says something that makes me cringe. I worked really hard at liking How to Be a Woman and Moran, but I just couldn’t do it. Have you read it? What do you think? I can’t find anyone that has actually read it and I need to hear other people’s thoughts on this one.